Do I Need a Lawyer for an Arraignment for a Criminal Charge? Do I Need a Lawyer for an Arraignment in Massachusetts? Very often, I have clients who hire me at the last minute. I frequently get calls immediately after someone is released after having been arrested. They often have an arraignment the next day. Sometimes, I even get a call or text that morning as the person is on the way to court for the arraignment. While I am happy to talk to people needing help whenever I can, I am very often booked in another court. We have a number of associate attorneys on staff to help out with last minute court dates. But sometimes we can’t get to you in time. So it’s ok for me to tell you that you can get through arraignment absolutely fine by yourself without us if you need to. And I can usually answer questions by text early mornings or late at night, so feel free to do so. Click to text me now if you are on a mobile device. 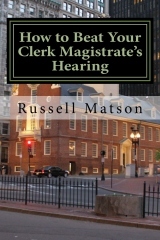 An arraignment in district court in Massachusetts on a low-level misdemeanor or even a felony charge is typically nothing more than an administrative court date. Yes, it is stressful to be called by the court officer and have criminal charges against you read out loud. But it will be ok.
You will appear in front of a judge and you will be formally asked to enter a plea of “Not Guilty”. You will get another court date for your case to proceed through the system. Yes, going in front of the judge by yourself can sound scary. Is she going to yell at me or threaten me with more charges? Worse, is he going to lock me up? None of that is going to happen. Let me reiterate, nothing bad is going to happen at your arraignment. The only possible mistake you can make is by talking about your case and being overheard by the prosecutor or police officer. If you admit to anything, even inadvertently, it could possibly be used against you if you were fighting the charges at trial, or even it could harm your ability to make the best possible deal. As long as you don’t do anything completely crazy, It will be absolutely fine. Here is the quick list of the basic, important stuff you need to know. I’m keeping this simple and short, so you can retain it. Get a copy of the police report so you can email or fax it to me ASAP. That’s it. We’ll figure out the rest when we talk next. A lot of people I speak to are completely panicked and are worried that the judge will throw the book at them on the spot, charge them with other crimes, or hold them in jail. Once again, there is almost no chance of that. If the courts thought you were dangerous or a violent felon, you’d likely would have held in custody before your arraignment. But just to cover all the bases, if you are accused of a violent crime, like a serious assault where someone was severely injured, or, is some rare cases, a multiple offense OUI charge where the prosecutor thinks you might go out and drive drunk again tomorrow: there so some chance that you could be held until a dangerousness hearing. In my career, I’ve had this happen a couple of times, usually on a 4th offense OUI where the defendant was thought to be a reckless chronic alcoholic. But it is very uncommon. So, relax. It will be ok.
As soon as I am on the case, I’ll review the police report with you, we’ll discuss the best strategy, and we’ll be on the road to solving your problem. Here is everything I can possibly tell you about exactly what is going to happen, and what you need to do. Try to get there reasonably early. If you are at the courthouse by 8:30, that is plenty of time. Nothing much will happen before 9am, but if you get there early, you may be able to get yourself out of there more quickly. Don’t drive yourself if your license is suspended! That could actually cause a real problem and another criminal charge. It seems obvious, but I’ve had this happen with clients! Leave your phone at home or in the car, you can’t take it inside. When you enter the courthouse, you can ask for where you should go for an arraignment. They will tell you to check in at the Probation Department, usually on the first floor. Why the probation department? You aren’t on probation yet, but probation is essentially the record keeper for courthouse activities. At the probation department, they will do a quick intake of your information, and alert the courtroom that you are there. They will also take information on your financial status to determine if you are eligible for a court appointed lawyer. It’s standard, they must do this for everyone, even if you already plan to hire me as private attorney. They will also run your criminal record. The official arraignment session is usually in the first session courtroom, but you can ask. Here you will wait until you are called up. The earlier you get through the probation department, the quicker you will be called for arraignment, and be done. If you are there early and get lucky, you could be arraigned in front of the judge first up at 9:02am, and be on your way home after that. If the court is really busy, it could take a long time, and you might be waiting for hours. When they call your name, you will walk up in front of the judge and the charges will be read. The court officials will hand you some paperwork with the pre-trial date assigned to you, and the copy of your police report. Send me the police report ASAP, and we can get to work on your case. Also, don’t worry if the pre-trial date isn’t good for you, as soon as you hire me, we’ll be able to move the court date to the best day for both of us. That’s it, you are done for the day. While there are advantages to having your lawyer at the arraignment, it isn’t strictly necessary. You will have time to hire a lawyer before your next court date, the pretrial hearing. It is more important to have a lawyer who is responsive your needs and experienced enough to get you the best outcome for your case as quickly as possible. That’s what I strive to do, and why myself and my staff work so hard communicating with clients via text and phone. I’ll even tell you what to do at your arraignment one last time. Give me a call or text me and I’ll help you.